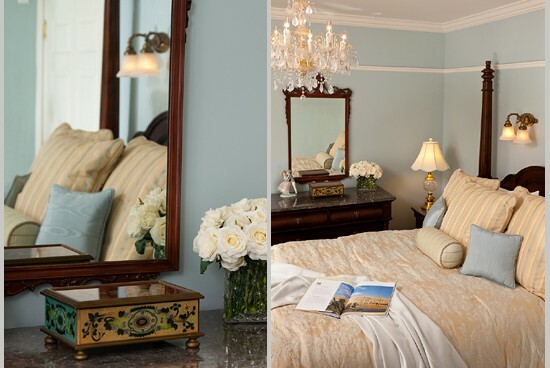 Our Versailles guestroom epitomizes the elegance and opulence of the reign of King Louis XIV and Queen Marie-Antoinette. 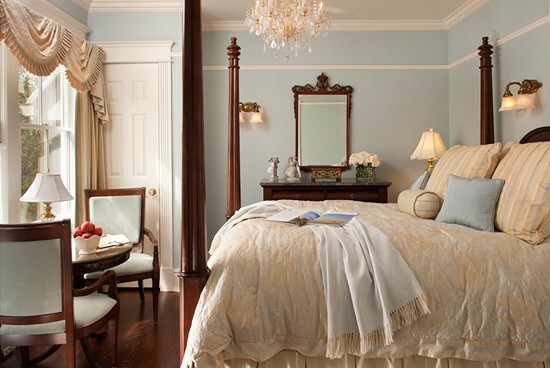 Unlike the King and Queen who slept in separate bedchambers, you can become the royal couple in this Louis-Philippe Queen size majestic mahogany poster bed covered with elegant blue, cream and gold bedding, high quality thread count lace embellished linens, and Hungarian goose down comforters and pillows. Imagine living as royalty at the Versailles palace in this beautiful room. Enjoy the picturesque view of the lake; browse through some books about Versailles by the romantic marble fireplace. 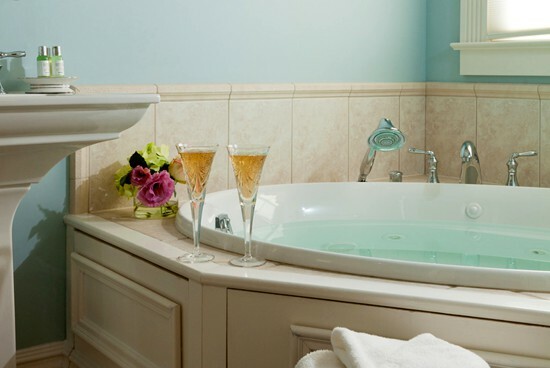 Refresh your senses in an oversized Whirlpool and separate two person shower in the elegant tile bathroom. Additional comforts include a flat screen high definition TV with DVD player and wireless internet connection. A complimentary gourmet breakfast completes this royal experience.